If you are a student in London you know eating out can be expensive and sometimes stressful! Restaurants are always full, queueing has become part of your daily routine and waiting 30 minutes for a meal when you’re hungry is not the best way to spend your lunch break. To save money, you have cooking facilities in your all-inclusive student accommodation, so you can make these delicious meals at home. How about a DIY guide for quick, easy meals? Our team has done their research and here are some of our favourites, you can click on the links that will direct you to the recipes. 2 slices of bread (whichever you prefer), Ketchup / Tomato Paste, any veggies you like, 4 slices of your favourite cheese, any sliced ham/chicken/turkey if you prefer it meaty. 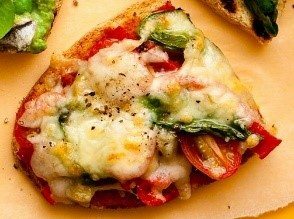 Build your pizza – Bread, Ketchup/Tomato Paste, veggies/meat and cheese. Make sure you turn on the oven while prepping (190 C), put your pizzas in the oven for 15 min, or until the cheese is nice and melting. Ready vegetables stir fry, chicken breasts, noodles (Udon noodles are my fave! ), soy sauce and honey. 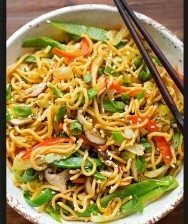 Cook the chicken breast with a little honey and soy sauce, when the chicken is almost ready add the stir fry vegetables, once it all cooked and ready to go add the Udon noodles and mix it all. You can always add soy sauce and honey to your liking at the end. 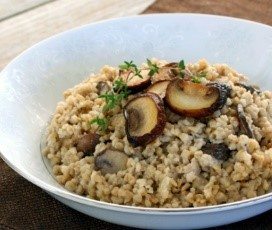 1tspn vegetable oil, 300g risotto rice, 1 garlic clove, crushed, 200g mushrooms, sliced, 900ml hot vegetable stock, ground black pepper and salt to taste. Here is how: Heat the vegetable oil in a large frying pan add the rice and cook over a low heat for about 1 min, stirring all the time until the rice looks glossy but not brown. Check that the rice is tender. It should have a nice creamy texture. If it needs cooking for a bit longer, add a little more hot water. Buon Appetito! 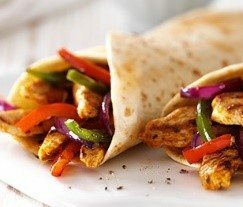 2 cups bell pepper strips, 1 cup sliced onion, 300 gr (portion for 1) boneless skinless chicken breasts, cut into thin slices, 1 teaspoon chili powder, 1/2 teaspoon ground cumin (add to taste), 1 can of diced tomatoes drained, 4 flour tortillas (6 inch), warmed. And here’s how to prepare them: Spray large skillet with cooking spray; heat over medium-high heat. Add bell peppers and onion; cook 7 minutes or until tender, stirring occasionally. Remove from skillet; set aside. Add chicken to skillet. Sprinkle with chili powder and cumin. Cook 4 minutes or until no longer pink, stirring occasionally. Return peppers and onion to skillet; add drained tomatoes. Cook 2 minutes more or until hot. Divide chicken mixture evenly between tortillas. Buen Provecho! Another classic Italian, ready in 10 min, this 3 ingredient meal will warm up anyone in this cold London weather. 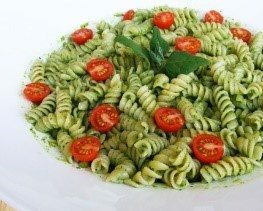 1 pack of your favourite Pasta, 1 small pot of pesto sauce, 1 pack of cherry or plum tomatoes, salt and pepper to taste. Cook the pasta as per pack instructions, once ready drain it and put it back in the pan, add the pesto and the tomatoes and season to taste! Base your meals on ingredients that are easy to find in your local supermarket, inexpensive and quick to prepare (e.g. pasta, rice, potatoes, vegetables, couscous and lentils). Stock up your cupboard with tins of beans, fish and canned fruit and load your freezer with frozen vegetables and pitta breads. This way you’re always minutes away from a speedy and healthy supper. Check out local food markets for fresh vegetables and fruit. They often tend to be better quality and cheaper than those in the supermarkets. Be willing to travel. The ‘Local’ supermarket down the road will be much more expensive than the big one that you have to get the bus to. Make a trip of it and go with a friend. Try to catch a lift from friends who may have a car with them. It’s always a good idea to buddy-up with housemates and cook together. Not only will this mean you save some money but cooking then becomes an enjoyable and sociable activity. Try themed nights; Mexican night with fajitas or Italian night with big bowls of hearty pasta. Cooking more than you need for dinner is a good idea as well. Freeze leftovers for nights when you don’t have time to go shopping or put them in a Tuppawear for lunch the next day.